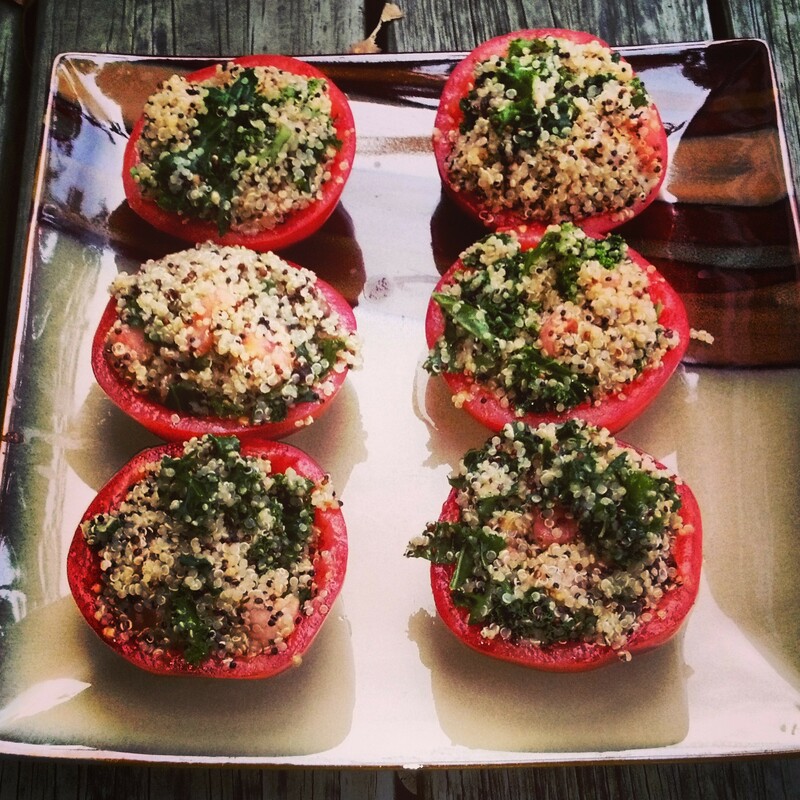 Quinoa Stuffed Tomatoes – Love. Nourish. Heal. Start cooking the quinoa based on the package you have bought. Most quinoa takes about 10-15 minutes to cook. While the quinoa is cooking, Cut each tomato in half and scoop out the insides with a delicate spoon (you don’t want to pierce the skin). Sprinkle pepper into each tomato half and set aside. Place the insides in a bowl and mix in the kale & raisins. When the quinoa has been cooked and fluffed, add it to the mixture and toss until the quinoa has touched every topping. Using a large, neatly place a scoop of the mixture in each tomato. Sprinkle lemon juice (and any other spices/juices you love) and serve! My 11 year old sister loved these because you can eat them with your hands!